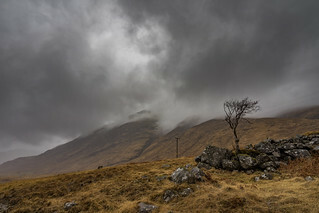 Taken on our trip through the Glen Etive (Glen Coe, Scotland). Did you know? Glen Coe is also called "Valley Of Tears"